Jobseekers are also able to take advantage of the Jobcentre Plus Travel Discount Card – a UK government initiative which allows those who are unemployed and claiming Jobseeker’s Allowance or Universal Credit to receive a 50% discount on selected rail tickets. “The ScotRail franchise is about much more than delivering a rail service – it acts as an enabler for growth by helping people access education, employment and leisure opportunities across the country. 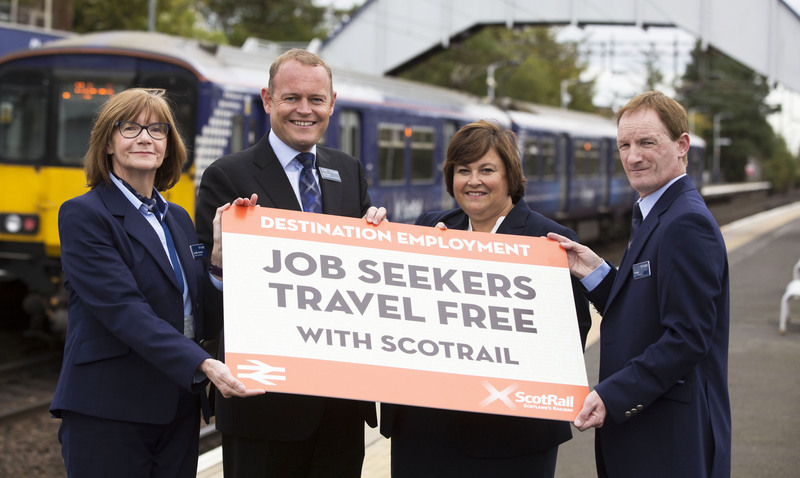 Pictured above: (L-R) Janette Anderson, Alex Hynes, Judi McLaughlin and Graeme McFarlan at the launch of the Scotrail scheme to launch job applicants back into work with free travel.